WALKER, Billy Marvin., age 77, of Hendersonville. May 21, 2006. He went to be with the Lord along with his wife Bettie Walker. He is survived by his daughter Kelly Brooks, grandsons Joshua Brooks and Scott Pulliam, sisters Evelyn Moreland and Dorothy White, brothers Jimmy Walker, Ennis Walker, Curtis Walker and Jerry Walker and several nieces and nephews. Visitation will be from 2pm til 4pm and 6pm til 8pm, Wednesday, May 24, and Thursday, May 25, at Hendersonville Funeral Home. Funeral service will be 2:30pm, Friday, May 26, at Cornerstone Church in Madison, TN with Pastor Maury Davis officiating. Pallbearers: Dwight Davis, Billy Roman, Jimmy C. Newman, Don Lewis, Rick Lloyd and Billy Johnson. Honorary pallbearers: Staff and Members of the Grand Ole Opry. Graveside services will be private. In lieu of flowers the family request that memorial donations be made in the name of Joshua Brooks to the Bank of America, West Main Branch in Hendersonville for his medical expenses. We got to meet and talk with Billy several times, but most recently on March 4th, 2006, backstage at the Opry. He was always such a gentlemen and always had time for his fans. He will be greatly missed. May God bless his family. I was a big fan of billy I enjoyed seeing play the grand ole opry he will be missed May god bless you and be with you thur these trying times. I never had the pleasure of meeting Billy in person,but have been listening to his music for many years and just purchased 2 great cd’s from him last month,Billy kindly autographed the last cd wich was How great Thou Art. Billy my prayers will always be with you, and to Billys Family May God be with all of you and richly Bless all of you. Billy, your wonderful voice will be missed so much by those of us who truly love country music. There will never be a time when I visit the Opry that I won’t be able to see you standing on that stage. You will always be a part of that great institution. We will always love and miss you and Bettie. BILLY YOU WERE SUCH A TALENT AND ALSO A VERY PLEASANT PERSON WHO WILL NOT BE FORGOTTEN. Billy’s singing on the Opry in the sky now. God bless a fellow Texan! WE DID NOT KNOW YOU BUT OUR THOUGHTS ARE WITH YOUR FAMILY AT THIS SAD TIME. YOU REMEMBER ‘I WONDER IF GOD LIKES COUNTRY MUSIC’WELL HE DOES AND YOU WILL KEEP ON SINGING…GOD LOVES YOU..NEVER QUESTION THAT. NORMA LEWIS&FAMILY, BRIDGEND,SOUTH WALES,U.K…. Billy Walker had a strong presence on stage, and now he is in the presence of our Lord Jesus. He was a man of faith, and we can be comforted in knowing that he and his wife are in Heaven now. He will be missed for now, but we will join them one day. As a songwriter, I know that words can be sung to express the grief that we feel, but they are singing in the Heavenly choir along with Johnny Cash and so many more. Thank God for allowing Billy’s life to shine on Earth, and we know that we will all be reunited with them. God bless. May GOD BLESS BILLY AND HIS WIFE. WHAT A GREAT ENTERTAINER AND SINGER. BILLY, THANKS FOR THE MANY YEARS OF TRAVELING AND SINGING TRUE AND REAL COUNTRY MUSIC. May YOU ALWAYS BE REMEMBERED. SEE YOU SOMEDAY IN HEAVEN. GOD BLESS. May God bless you and give you peace through this very sad time… what a wonderfully talented man Billy was, Loved his talent and from watching him he must have been a great person.. would have loved to have known him but instead I just loved his shows and music..Heaven is so lucky to have him there..
Long before I met Billy Walker in 1970 he was very much part of my daily radio show. Billy was a fine Christian man who did worlds of great work including Starkey here in Wichita, Kansas. He was here each year for the golf tournament. I know my next visit backstage at the Opry will not be the same without his smiling face. For the rest of my radio life, Billy will always be with me. I’ve been a regular listener of the Grand Ole Opry for more than 30 years and Billy Walker’s rich voice and sparkling personality has brightened the airwaves and my week-ends a good many times. A person didn’t have to be a listener of the Grand Ole Opry very long to discover that Billy Walker was a good Christian man. It came through strong and that’s what made me look up to him. One of my favorite Opry memories of him was when he sang “Peace in the Valley”. I would wake up many Sunday mornings still hearing him singing that song in my head. My condolence goes out to his family and the cast of the Opry during this time of loss. He will be missed. We had the privilage of meeting Mr Billy Walker back stage several times at the Grand Ole Opry and as many have already said he was always gracious, warm, talented and Christian person. One memory of Vicki’s was meeting him in public and greeting him as Mr Walker and he said: “That was my father, please just call me Billy.” To us he was and always will be Mr Billy or Mr Walker. He was truely one of countries greatest talents and will be greatly missed in the public and country communities. Our deepest condolences to his and Bettie’s family. May God wrap His healing arms around each and every one of those he and Bettie touched during their lives here on this earth and give all comfort in this sad time. I wish to extend my sincerest sympathy to the family and friends of Billy Walker and all those who died in that horrible accident. I have always been a Billy Walker fan, and I will miss his great voice. May he and all Rest In Peace. I had always liked Billy Walker from seeing him on the Opry a few times, but when he came to West Monroe a few months ago, we fell absolutely in love with him. He put on a fantastic show. I talked to Bettie when I bought my CD. She was a sweet person too. He put on such a fantastic show. I have never heard anyone do This Time You Gave Me a Mountain more beautifully than he did. His CD stayed in our car CD player and we listened to it almost every day on the way to work. I got to see him again at Bastrop about three weeks ago. He was supposed to come back to West Monroe soon and I was looking forward to seeing him again. I was shocked. The world has lost a great talent. I hope they put his new song out soon. I heard it yesterday and it is beautiful. My sympathy goes out to all the family. Cindy Lane ADams/singer /songwriter love of The Artists thet Inspired Me. I am so sorry to hear about Billy and his precious wife and the other guys. I was a fan of his and got to spend time with Billy several times when I was with the Blackwood Quartet and we would do fair shows and conventions together. It was my honor to have gotten to know Billy Walker and the family and the extended family as well have my deepest sympathies. May God’s divine grace be with you all during this difficult time. I got to meet Billy in 1998 at the York Fair. I didn’t know he was going to be there but was happy he was. I bought a tape and he autographed it. He was such a nice and friendly person. My mother was with me and she said to him that she watched him every week on the Opry but what she meant was when he was on the Tv part of it. He was very kind to her. There are artists that are not very friendly and Billy was one of them that was very friendly. I am sure he will get his just reward in Heaven someday. I know he loved the Lord and I guess the Lord had plans for him. God Bless Billy and Bettie…. Rest in Peace. My thoughts and prayers are with the family and his Opry family also at this very sad and difficult time. God Bless you all!! they will be truely missed as that is all on the radio now. i had meet billy 2 times & he was as friendly as any one & i loved to hear him sing. he told me he would get me a picture of him & we parted with out me giveing him my address . to this day now i will regrent “” not getting my address to him that day at the palace. remember them both in a happy time & their beautiful smiles . I am extremely sorry to hear of the loss of life in such a tragic accident. May God bless them all, and May they rest in peace. Billy was such a talent and a wonderful role model. His loss is painful, but the joy of having known about him and having been entertained by him makes it easier to bear. My condolences to his family and friends. Until we all meet in Heaven, he will most certainly be missed. Dear Kelly, Joshua, Scott and family. The family of the late Glenn G. Tracy, Sr. would like to send their condolences to each and every one of you. Your family has lost two very special people in your lives. The loss of your father “Billy” and your mother “Bettie”. They were the most respected couple that our family has ever known. 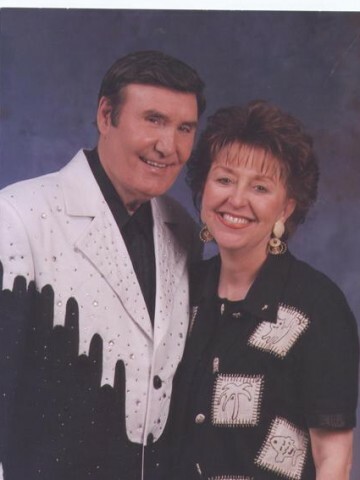 There is no way we can express our feelings to your family on how deeply we feel about the death of Billy & Bettie. They both had a tremendeous faith in God. Therefor: “Do not stand at their grave and cry, for they are not there. They did not die”. Our loss is Heavan’s gain. It is hard for me to fathom losing my good friends, Billy Walker and his beautiful wife, Bettie. Billy Walker is known all over the world as a great singer and entertainer, but to those of us who knew him personally, he was more than that. He was a REAL person and a true friend. His loss is devestating. My heart breaks for the families of Charles Lilly and Daniel Patton. I had the honor of working with Billy, Charles and Daniel when they joined me on November 8, 2003 for a benefit show for Rainbow Omega, a home for Down’s Syndrome victims. Billy and Bettie were true friends in need. Last year, when I had surgery, they called me and prayed for me and I knew I could count on them to be there. Their loss will indeed leave a void in this world which can never be filled, especially in MY life. I know that everybody that loves real country music loved Billy & his music. I met Billy in 1989 back stage at the opry, again in Rapid City & Valentine, NE & Bettie in Rapid City. I have been a Fan of Billy’s since I lived in Clovis in the early 60s. Not only was he the consumate entertainer, Billy was a good Man and Bettie was a nice lady. I will miss their friendship. Thank God that he let us have them as long as he did. I have listened to Billy for a very long time. Met he and Bettie in Commerce GA just a few years ago. Nice people. I would like to know the cemetery name. I will never make it back to Nashville. Billy was a great gentleman. I always enjoyed talking to him. One of our last confersations included talking about buses and traveling the road. He was still performing and doing what he loved best. My thoughts are with his family and his family at the Opry. Our deepest sypathy goes out to your family. It was a pleasure to meet Kelly, Billy and Bettie’s Grandson, and also the brothers and sisters to Billy and Bettie while we were there. I am just sorry we had to meet that way. I had met Billy and Bettie through my brother Charlie Lilly, and I know that Charlie loved them also. I hope that your pain will ease with time and know that you do have family and friends to support you, and it will get a little easier as time goes on. May god bless you all. I met Billy Walker many years ago and remember him fondly. He was very courteous and it goes without saying one of country music’s better entertainers. His talents and presence will be greatly missed. A Memory Tribute to Billy Marvin Walker.